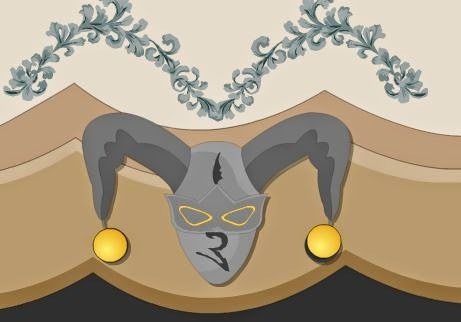 Full walkthrough solution with step-by step instructions to help you solve the Mystery Palace Escape game. Detailed explanations with all the help that you will need to solve it. 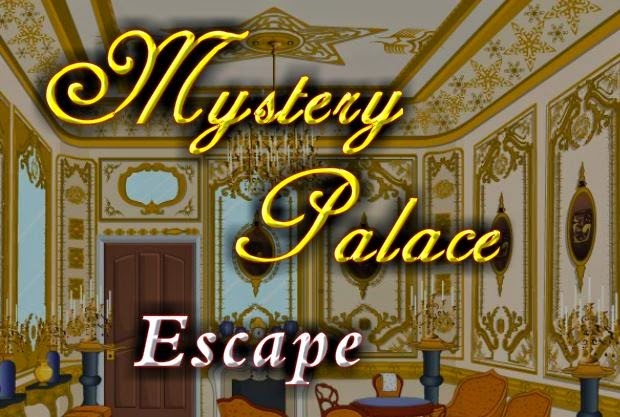 You can play Mystery Palace Escape here. Please use the comments section below if you are stuck and need more help with the solution, and I will try to get you unstuck! This is a difficult escape game and can take you more than an hour to solve. 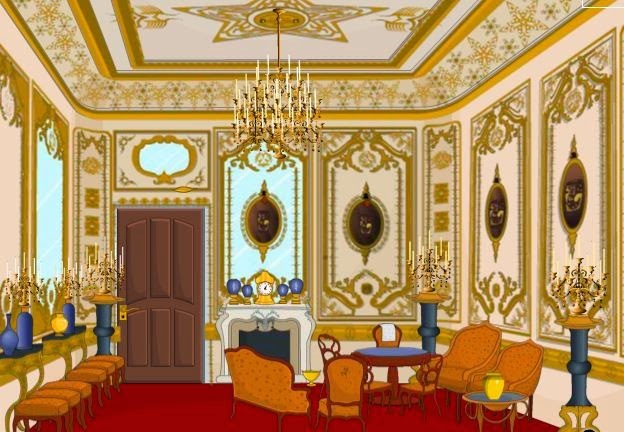 About mystery palace escape: Mystery Palace Escape is another new point and click room escape game from games2rule.com. You are trapped inside in a Mystery Palace. The door of the palace is locked. You want to escape from there by finding useful object, and hints. Find the right way to escape from the Mystery Palace. Good Luck and Have Fun! You start the escape from the sitting room of the palace. Take the small towel from the chair. Take the golden leaf above the door. Zoom in on the ceiling - where the big chandelier connect - then take the 2 golden balls. Zoom in on all the candelabras in the room. Take the candles that are loose... You need 3. You take the candle stand from one of the candelabras on the left. Insert the candle stand into the candlebra top right. Zoom in on the big hanging from the ceiling candelbra. Insert the 3 candles. Zoom in on the mask at the fire place. 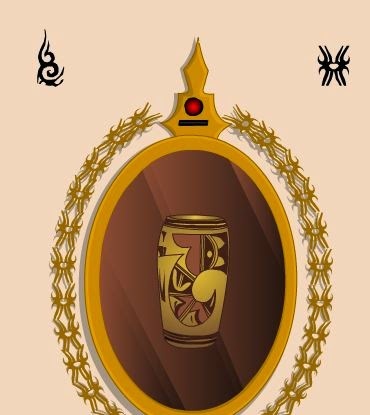 Look at the symbol on the back of the chair. Zoom in on the 2nd from right mirror. Wipe with the towel to see 2 symbols. --> The clock is not very accurate... If the below does not work, then move both hands up and down a little bit to get it working. 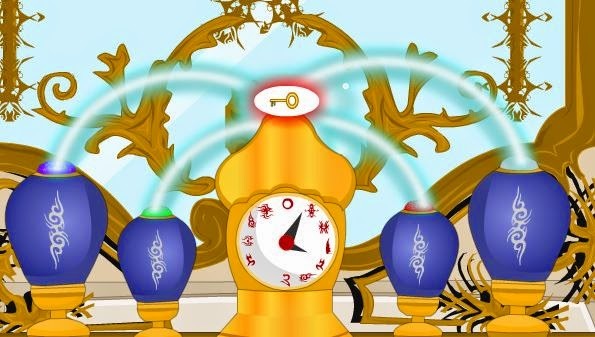 The mask shows you 2 symbols: Zoom on the clock and place the little hand on the 6 o’clock shape and large hand on the 3 o’clock shape. This lights the candles by the door. Zoom on the clock again. 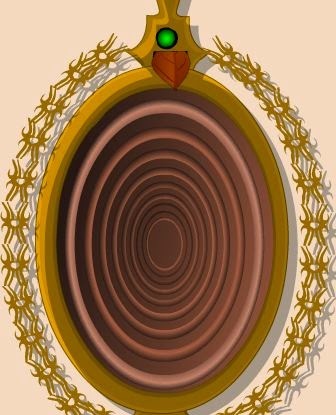 Enter the shapes from the right wall over the further magic mirror. Set hour to 2 and minute to 10. The chandelier should be lit. Zoom on the clock again. Enter the shape from the back of the chair. Since you don’t have the second shape, put the minute hand on 12. The hour hand is on 8. This light the nearest candleholder on the right. Zoom on the clock again. Enter the shapes from the left mirror. Set hour to 9 and minute to 1. The back right candles should be lit. Now it is time to use the leaf and the bowl on the magic mirrors. Burn the leaf on the very right-most candles. Zoom in on the very right-most mirror. 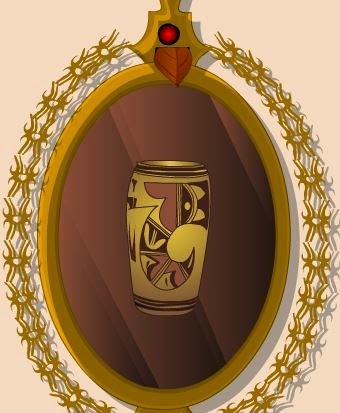 Insert the golden bowl in the center of the mirror. Zoom in on the righ-most decor vase. Throw the contents of the golden bowl into it. Burn the leaf on the second-from-right candelbra candles. Zoom in on the second-from right magic mirror. Insert the leaf and then the magic bowl. This time the bowl is full of red stuff. Throw the red stuff from the bowl in the second from rigth decor vase. Repeat with the next chandelier and magic mirror to get green stuff in the bowl then into the decor vase. Repeat this process with the top haning candlebra chandelier and next magic mirror. You will get purple stuff into the bowl that you place in the leftmost vase. Zoom in on the door. Use the key to unlock. Well done on a great escape out of the Mystery Palace.